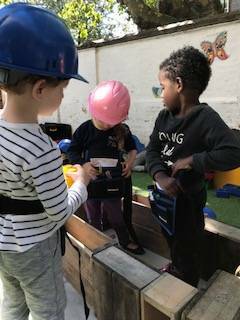 The nursery have been busy building constructions using different materials. 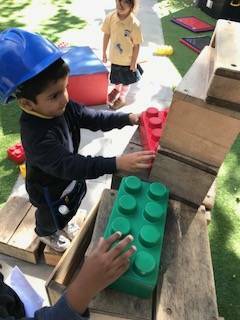 We have used the wooden blocks,large rubber lego bricks and guttering to make cars, houses and dens. 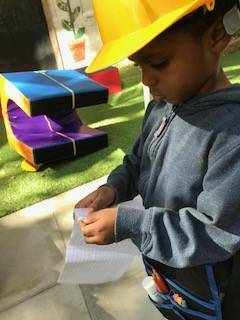 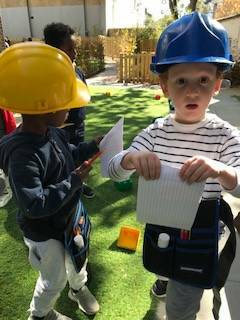 Our outdoor tool belts have come in very handy as the children make notes and sketches of their developments.